Dive bars have a special place in our hearts. They come in countless shapes and sizes, sling beverages classic and crafty and act for many as a no-frills home away from home, at least for a couple of hours at a time. And it goes without saying that they’re the places where everyone knows your name. 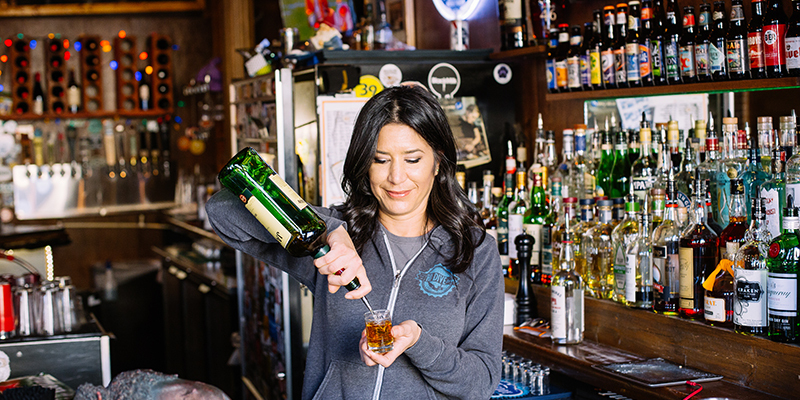 So raise a glass for Kansas City’s dive bars: establishments as eclectic as they are beloved, each one with a story to tell and a drink to serve. Before the coffee shop there was the neighborhood bar. These special places welcome us with open arms no matter the time of day or day of the week, many as legendary as the tales that take place there. KC offers these establishments aplenty. Take, for example, Dave’s Stagecoach Inn in Westport, a compact watering hole with cheap drinks and eclectic décor. Travel along West 39th Street and soon enough you’ll find the Hi-Dive Lounge, home of the mystery beer: sometimes craft, sometimes yard, always $2.50. Night cap or entire evening, Keyhole Tavern attracts Johnson County patrons to its cozy Mission location. Downtown KC features both Zoo Bar—a cash-only classic—and Red Front Bar & Grill, where the bravest and funniest souls step up to the stage for open mic comedy every Wednesday. Meanwhile, Helen’s Just Another Dive Bar & Grill is right on the way home for many commuters in North Kansas City, with a kitchen open late and shuffleboard to boot. Live music and cold drinks go together as well as any other renowned combination. 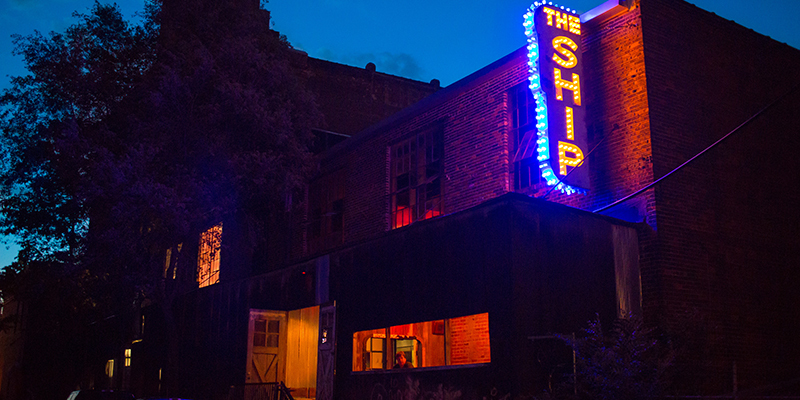 The Ship in the West Bottoms proves this equation many times over. The lounge is a former speakeasy known for its fabled jukebox full of soulful 45s as well as frozen cocktails and regular performances featuring anything from jazz groups to DJ booths. Bartenders and servers at the Piano Room in Waldo “sing and sling” favorite tunes and drinks while amateur vocalists can take the microphone into their own hands at the Red Balloon Bar & Grill, a come-as-you-are karaoke bar in Shawnee. Or catch a local act at Mike Kelly’s Westsider, an Irish pub just outside of Westport. 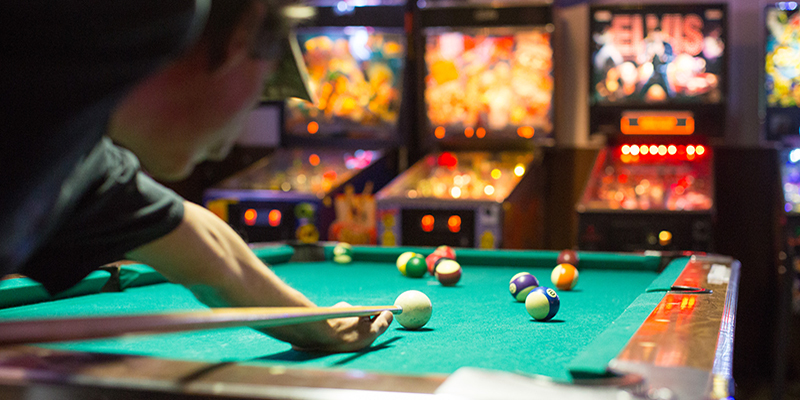 Whether you’re watching or playing, Kansas City dive bars have what you need when it comes to games and gaming. 403 Club in the KCK Strawberry Hill neighborhood attracts pinball wizards from all over for tournaments and a wide craft beer selection. Then there’s The Blue Line, a River Market hotspot and KC’s only hockey bar, perfect for a bite and pint with other like-minded fans. Downtown KC touts two different sports dives treasured by many. First is the Quaff Bar & Grill, a hangout with plenty of TVs and appetizer selections, plus pool tables, Pop-A-Shot and more to keep you entertained between innings. 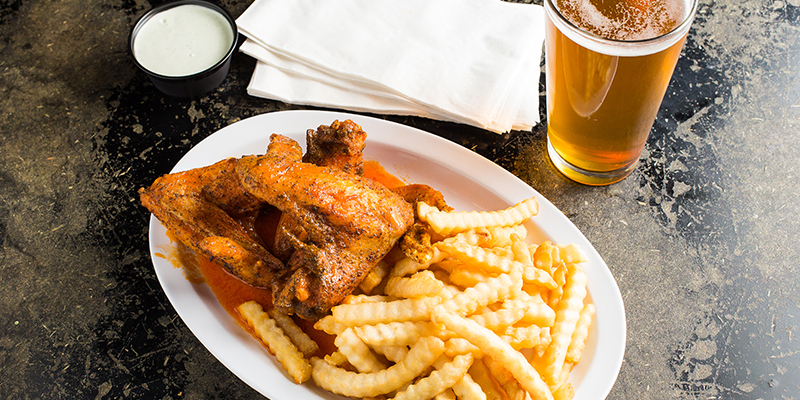 Second is The Peanut, Kansas City’s oldest bar and grill and essential establishment that serves up some of the city’s most beloved buffalo wings—larger-than-life dive delicacies with wing and drumstick still intact. America has a love affair with its cars. But in Kansas City, there are a lot of fun ways to explore get around town without being in the driver’s seat. David is known as Kansas City’s best bartender. As inaugural champion of the KC Bartending Competition, David knows the KC bar scene like the back of his stirring, mixing, and pouring hand.